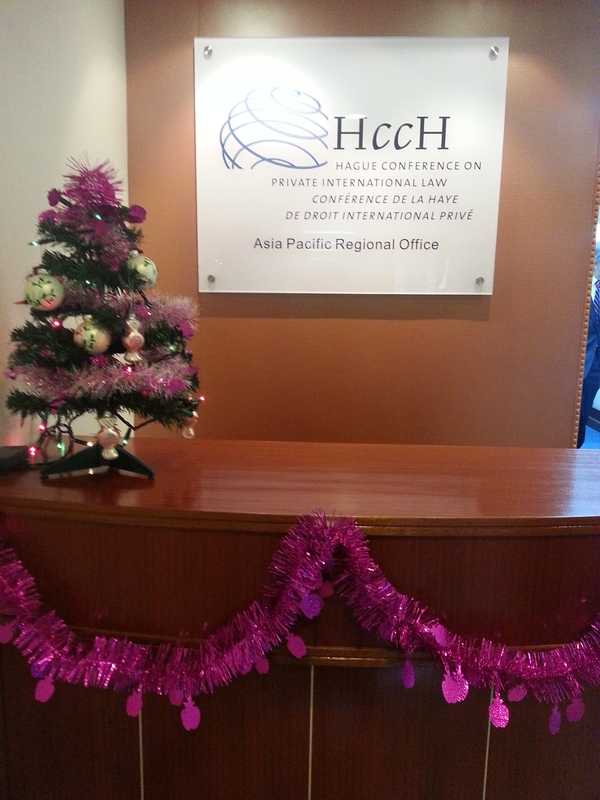 The Hague Conference on Private International Law today celebrated the official opening of its new Asia Pacific Regional Office in Hong Kong. 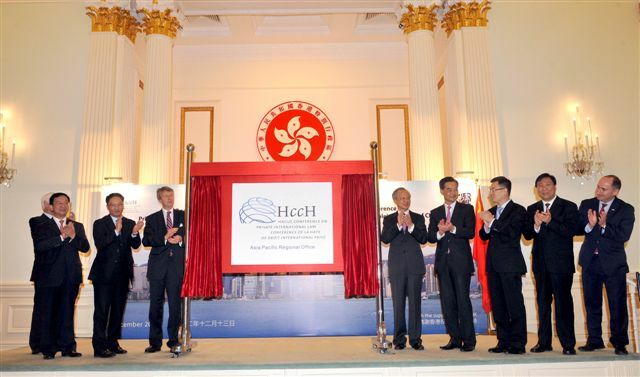 The Opening Ceremony took place in the Central District of Hong Kong Island at the Government House, the official residence of the Chief Executive of the Hong Kong Special Administrative Region. 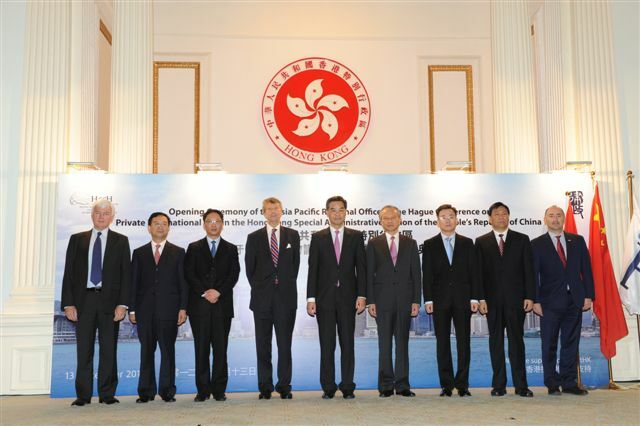 Guests included the Secretary General of the Hague Conference, as well as a number of senior officials including the Chief Executive of the Hong Kong Special Administrative Region, Vice Minister of Foreign Affairs of the People's Republic of China, and the Secretary for Justice of the Hong Kong Special Administrative Region. Over 100 other distinguished guests, including Consuls General and representatives from over 30 countries and international organisations, also attended the event. During the Opening Ceremony, speakers noted the role the new Asia Pacific Regional Office in Hong Kong would play in helping to increase awareness of the value of membership of the Hague Conference and in encouraging States in the Region to join Hague Conventions, which would benefit not only States in the region, but all countries connected to the Hague Conference throughout the world. An increased Membership base in the Region would bring wider representation of a diverse range of legal traditions to the Hague Conference and help the Organisation develop new instruments better adapted to meet the needs of the Region. It will also assist in raising revenues, help to reduce expenses for the services already provided to State Parties in the Region, and facilitate ratifications or accessions to Hague Conventions by States in the Region. The new Office in Hong Kong is the second Regional Office of the Hague Conference and the first in the Asia Pacific. The first Regional Office is located in Buenos Aires, Argentina, to serve Latin American States.